Jim approached us to make diamond earrings for Sandy to celebrate the big 60. He and Sandy are our buddies, part of the jewelers gang here in Santa Barbara, an eclectic group of passionate people for the art of jewelry. Jim is a stone cutter/faceter so we started the design by meeting with him to look over his stash of cut and loose stones. He was prepared to cut something new for this special occasion. He had to be really careful to meet with us when Sandy thought he was somewhere else because she is clever and therefore attentive to his coming and going from home. He had already been cutting some lovely very large briolletes for the niece of Ganna Walska. 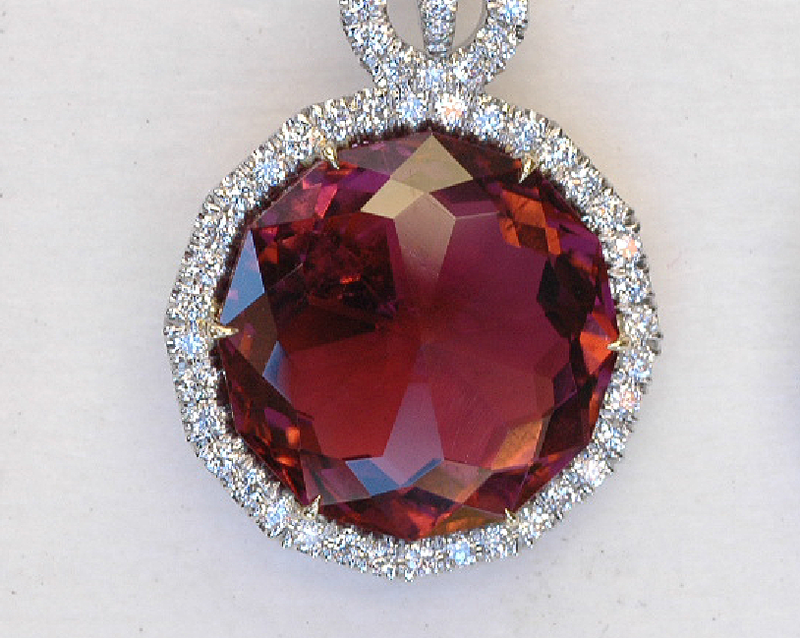 Sandy, who is a jeweler made a beautiful pendant for her with the stone her husband had cut. we decided that we would use the huggie we recently developed because it is versatile and delicate. later on Sandy can choose to have other detachable pieces. 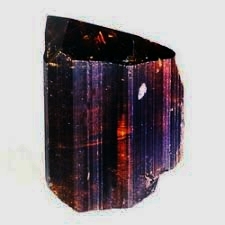 Jim did not have a matching pair that were large enough, but he had a tourmaline crystal which looked like he could cut out of it a matching pair of briolettes. Briolettes are similar to double side rose cuts. He had to be very careful to use a thin saw to cut it in half and to work slowly so that he lost as little material as possible. I neglected to take a picture of his crystal, but this crystal has the same shape as his did. The color was a little darker so when he did cut it we were all surprised what a pretty, bright red color it reflected. Jim did a really nice job of cutting matching pairs. We were relieved because we made a twelve side mounting for the stone and both stones fit the same size mount. We made them in platinum because the weight, color, and workability is very special. You know that though somewhat delicate the piece is going to be strong. 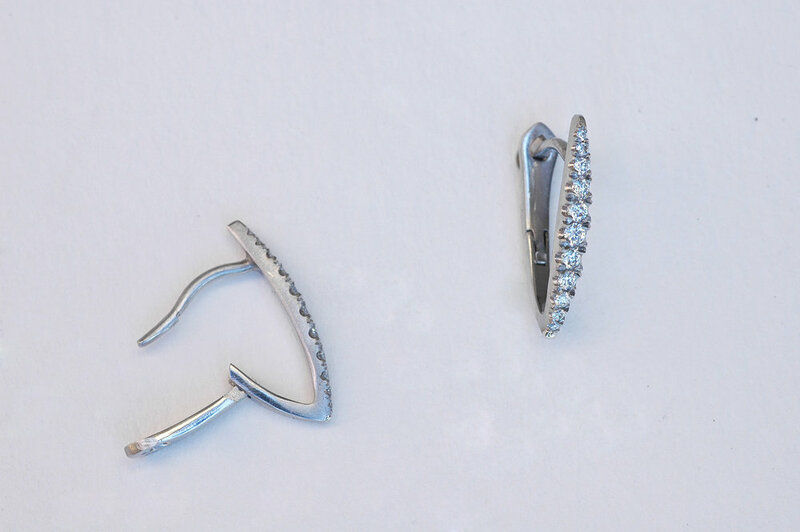 Also there is nothing quite as bright looking as combining white diamonds with the whiteness of platinum. We also used 18 karat yellow gold prongs because they look nicer against the warm color of the tourmaline. Sandy wore her new earrings to her birthday dinner and she looked gorgeous with them on. She was very happy how beautiful they turned out, and yes they were a total surprise. Jim did a great job keeping our group endeavor a secret..